The ROC is grateful for all the support from our community! The safety and well being of our youth cannot be achieved by one agency or sector alone. Youth safety and well-being must be a shared responsibility among community members, traditional and political leaders, the police and other justice partners, community organizations, healthcare providers, social services, victim services, education, housing, cultural groups and private enterprise. LOYALIST COLLEGE partners with ROC and provides volunteers for ROC programs including CHILL TEEN. ROC offers placement opportunities for college students who seek to develop leadership skills and gain hands-on experience working with children and youth. This local college partners with ROC by providing placement students in the Social Service program or Child & Youth Worker Program. ROC provides placement opportunities for professional development, and work experience mentoring youth. PRINCE EDWARD LEARNING CENTRE serves as a program partner offering increased resources to Prince Edward County youth. ROC serves with PELC on the Vital Signs Learning Working Group, advocating for youth in transition throughout Prince Edward County. The COMMUNITY SERVICE OFFICER with the local detachment of the OPP is actively involved in supporting the ROC to provide the positive messages associated with making healthy, safe choices. Education related to local crime issues is ongoing with ROC staff and, therefore, with local teens to offer preventative measures and alternatives. Discussion frequently occurs with teens regarding the choices available to them, the benefits of making positive and healthy choices, as well as the consequences of poor decisions. Teens are encouraged to identify all of their options when faced with daily choices and evaluate which direction is the healthiest and safest choice for them. HASTINGS PRINCE EDWARD DISTRICT SCHOOL BOARD: who provide the space in each school, and with the school principals and Child and Youth Counsellors who provide referrals and information regarding the behaviours and needs of the students. HPEDSB provides space at Prince Edward County School locations which enables us to offer 7 ROC programs. HPEDSB provides 2 gyms, 4 large classrooms and the Wild Cat Café for Club ROC every Tuesday and Wednesday evening. CHILDREN’S MENTAL HEALTH SERVICES (CMHS): This partnership enables the appropriate and proactive referral of children to ROC programs. This organization also supports ROC Staff and volunteers with additional training opportunities and resources. In addition, Children’s Mental Health workers have attended CLUB ROC programs to offer interactive workshops about issues including bullying and peer aggression. CMHS also to help with program delivery, referrals and resources. The CMHS workers participate in one ROCK IT session during each 6 week program to lead activities addressing bullying and promoting positive body image. They have been an excellent resource to help address the unhealthy behaviours and contemporary issues girls are facing today. ROC and CMHS meet regularily to give updates and share valuable information and resources. HASTINGS & PRINCE EDWARD COUNTIES HEALTH UNIT who are involved in the cooking and physical activity sessions, offering materials and resources. The HPEC Health Unit offers regular training workshops to agencies providing programs to youth at little or no cost to our agency. New this year, ROC partners with the Picton Detachment of the OPP who are involved in the development and delivery of the ROCK IT GUY TIME program. They have offered advice and resources to help ROC staff & volunteers understand issues that at-risk youth face in our community. They also facilitate a program session regarding positive lifestyle choices with a discussion about criminal offences including drugs & alcohol abuse, prescription drug abuse, public intoxication, vandalism, graffiti, trespassing, theft, assault, and break and enter. HIGHLAND SHORES CHILDREN’S AID: The H.S. CAS provides resources and referrals of children and youth that participate in ROC programs. They also provide financial support for children and youth to attend programs when needed. The partnership with H.S. CAS is beneficial to the program because it ensures that the ROC can efficiently report all disclosures in a timely, reliable manner. Recently, ROC has been invited to give a presentation about all of our programs to the Children’s Services Team this month. This will ensure Highland Shores Children’s Aid caseworkers are updated with ROC’s current information and can refer children in need to our programs. COMMUNITY LIVING PRINCE EDWARD: CLPE facilitates workshops on bullying and inclusivity at Club ROC. Recently, we have been asked to join their Family Enrichment Network and attend bi-monthly meetings due to the fact that both organizations serve some of the same children and would benefit from shared resources and knowledge. COUNTY KIDS READ: This group has been donating free, new books every month to Club ROC programs for the past 2 years. We have been receiving 100 books per month to distribute to the participants. Due to this donation of books we have been able to expand our program to include a Readers Club. COUNTY CLIPPERS: The local basketball organization provides their expertise at our Camp ROC program, working with our youth to improve skills, health and fitness levels, and to develop a love for the sport of basketball.  JUMPSTART CANADA: This corporate sponsor provides in-kind sports and recreational equipment to Club ROC programs. ROC partners with LOCAL COMMUNITY LEADERS who serve as volunteers, guest coaches & fitness leaders, and artists. Their experience benefits service delivery by providing resources and professional instruction.